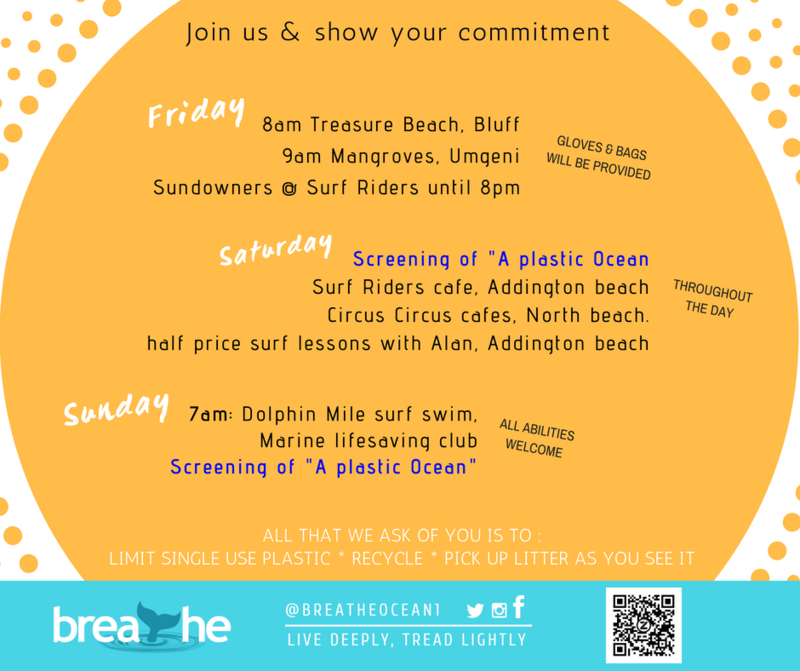 Come join a weekend of celebrating our oceans through various events from beach clean ups all along the coast of Durban, South Africa, to a screening of A Plastic Ocean, a dolphin mile swim and even surf lessons. Using our beautiful coastline to explore and clean up. See the fliers below for more details.. Forming an integral part of the Shark Weekend programme will be an address by renowned ocean activist and founder of the NPC, Breathe, Sarah Ferguson. onSaturday, 9 June at 3pm. The former national swimmer took to ocean swimming six years ago and decided to do something more meaningful with her swimming. 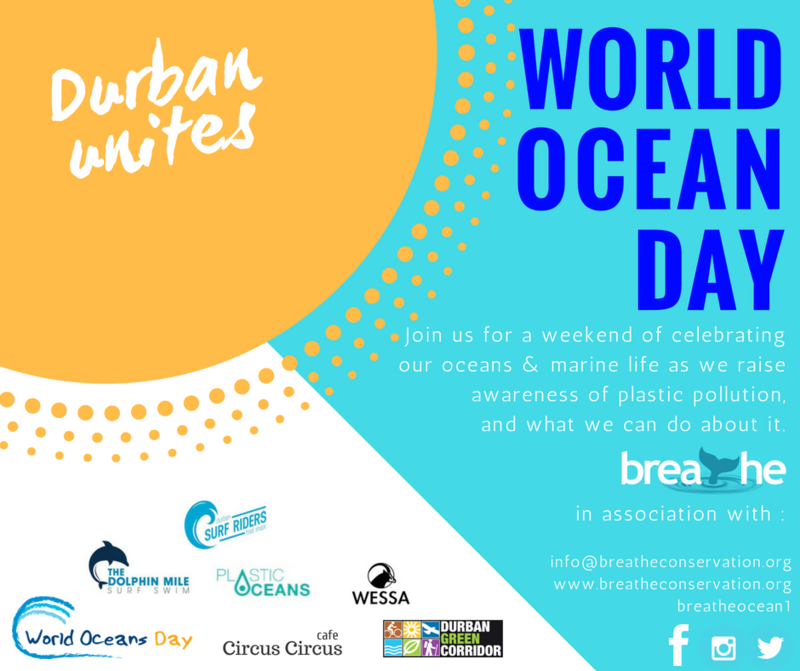 It’s a festive weekend for World Oceans Day In Durban South Africa, so come out and join the fun by helping to show some love for our oceans.